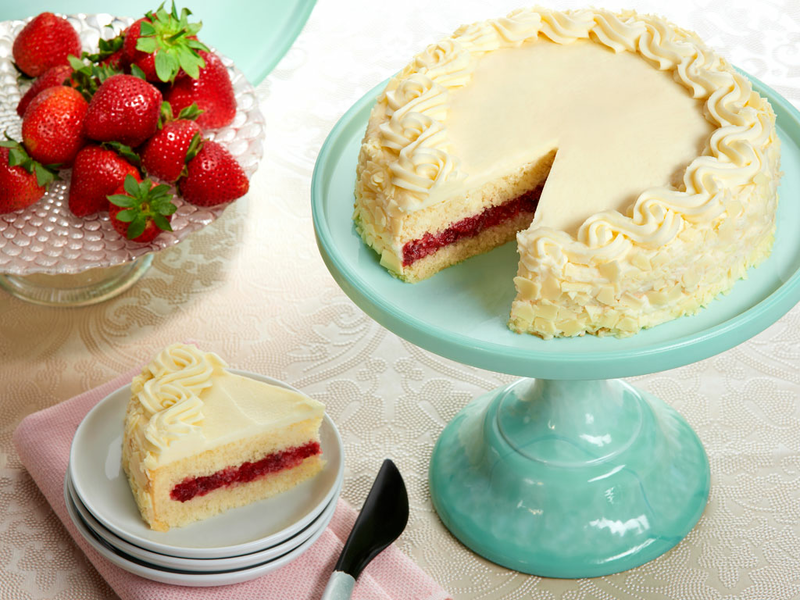 This fruit-filled dessert is the perfect gift for anyone who enjoys the deliciously sweet taste of strawberries and craves it all year round. 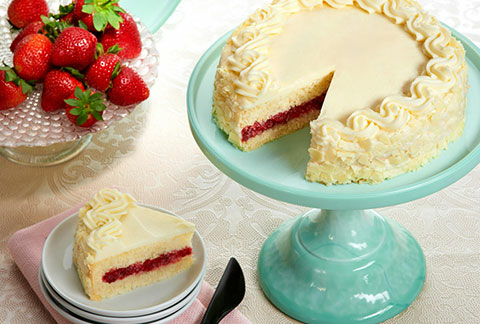 In between the two layers of moist, yellow cake is a delectable strawberry filling that is made from real strawberries! 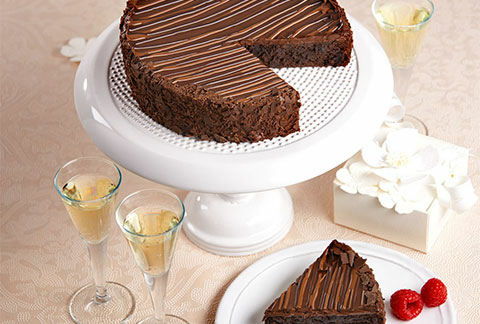 The cake is then covered with a light and fluffy whipped vanilla mousse frosting and topped with a chocolate occasion plaque.